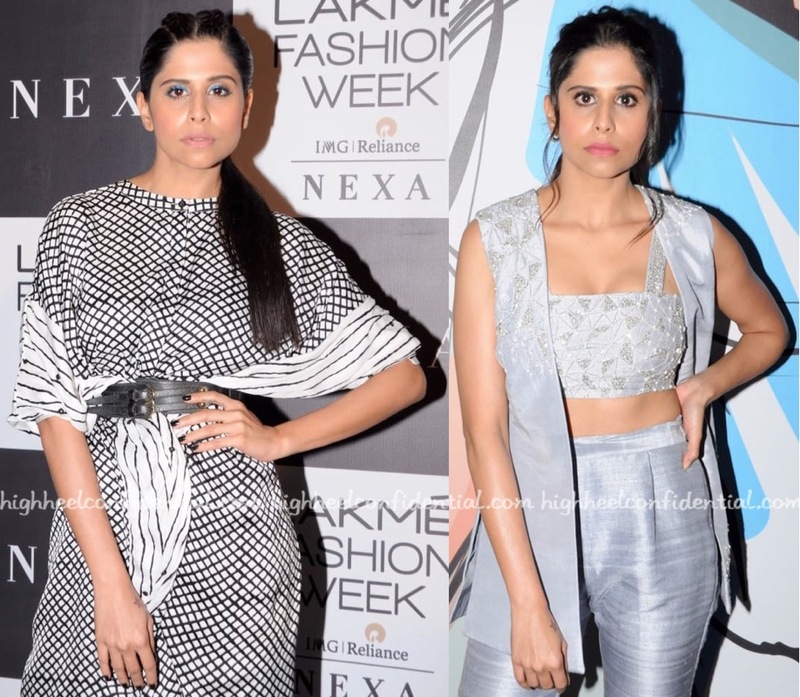 Roshni is among the few in B-Town to sport her own designs regularly. For two jewelry related events (a pop-up and collection launch), she picked draped numbers from her own line. Both times, she rounded out the look with coral lip color and wooden bags. 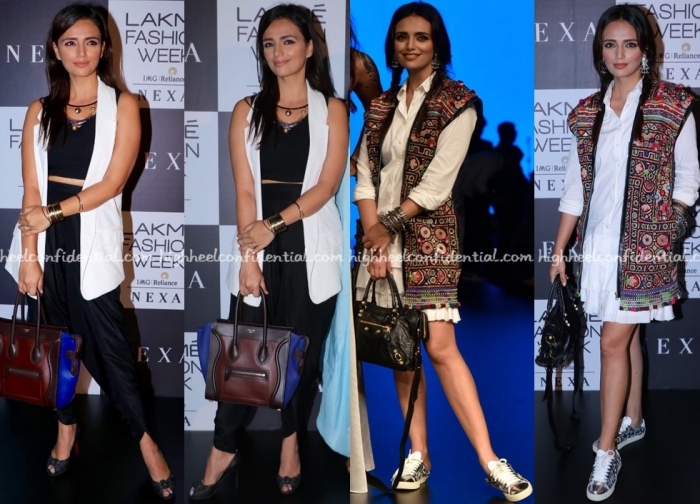 At the recently concluded fashion week in Mumbai, she reached for vests to pair her separates with. 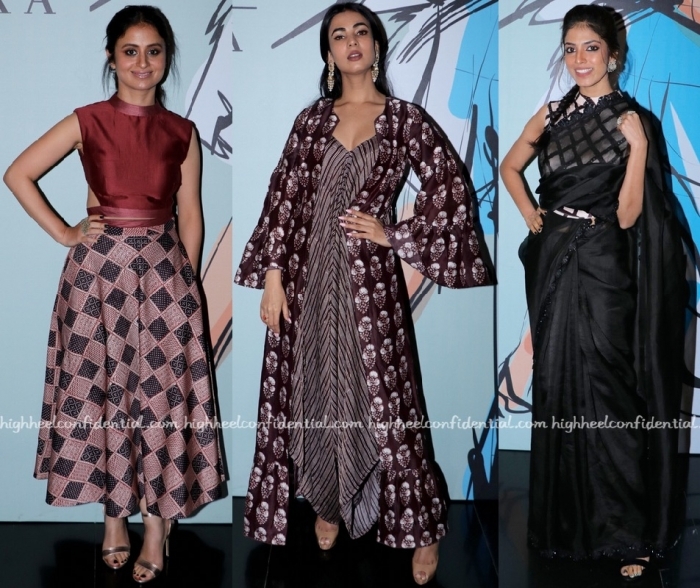 On one day, she teamed black dhoti pants from her line with a bustier and Rag and Bone vest. Celine bag, Amrapali jewelry and pair of Louboutins rounded out her look. On another day, she teamed Banana Republic separates with an embellished vest by her. Balenciaga bag and Saint Laurent sneakers were among her accessories for the day. She wore ’em all well. At their showing at fashion week, Hansika lent her support to the brand by sporting Label Ritu Kumar. A striking red lip and pair of black ankle-strap sandals rounded out the actor’s look. Nice as she looked, the eyelet detail top threw off the proportions, not to mention the competing details that added to the visual clutter. Wish she had picked a simple, well-tailored white button-down and had worn it with the sleeves scrunched up. While it might seem boring, it would’ve played off of the skirt well. Lending their support to the designer, these ladies attended Punit Balana’s show wearing his designs. Though very different from each other, do you think you could pick a favorite look? 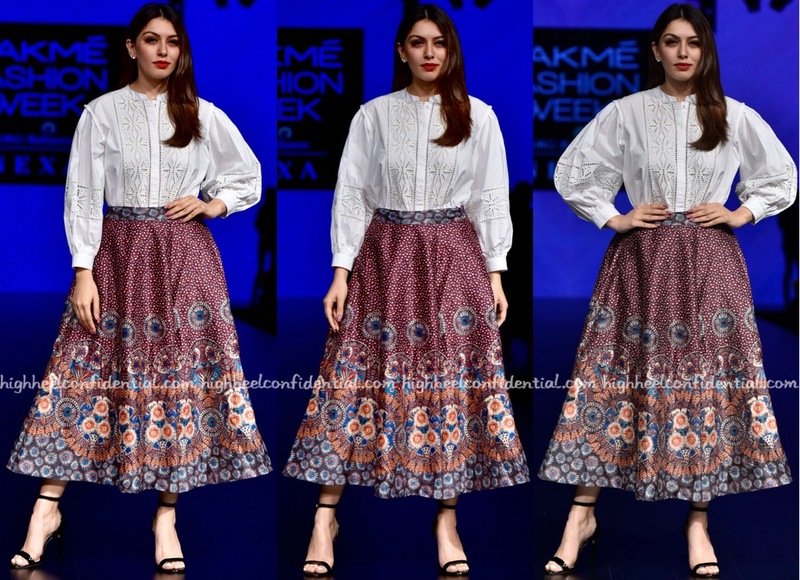 While at fashion week in Mumbai, Saie was photographed in a graphic Punit Balana dress, as well as Disha Patil separates later. 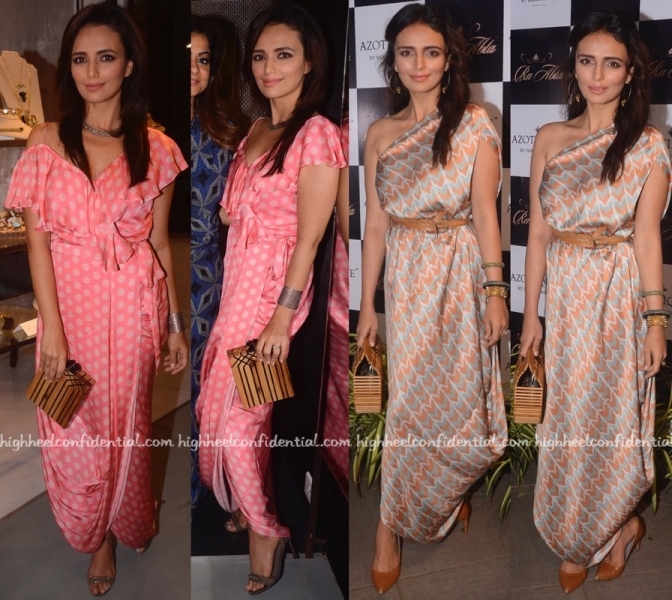 Though she wore both looks well, the appearance in Punit Balana stood out by far; she looked good in it. Wearing a red midi dress, Lara attended Monisha Jaising’s show at LFW. Bold lip, big earrings, a box clutch and pair of taupe sandals rounded out her look. She looked nice; a marked improvement over this, don’t you think?